Neville Jamshed Bilimoria wears many successful caps. 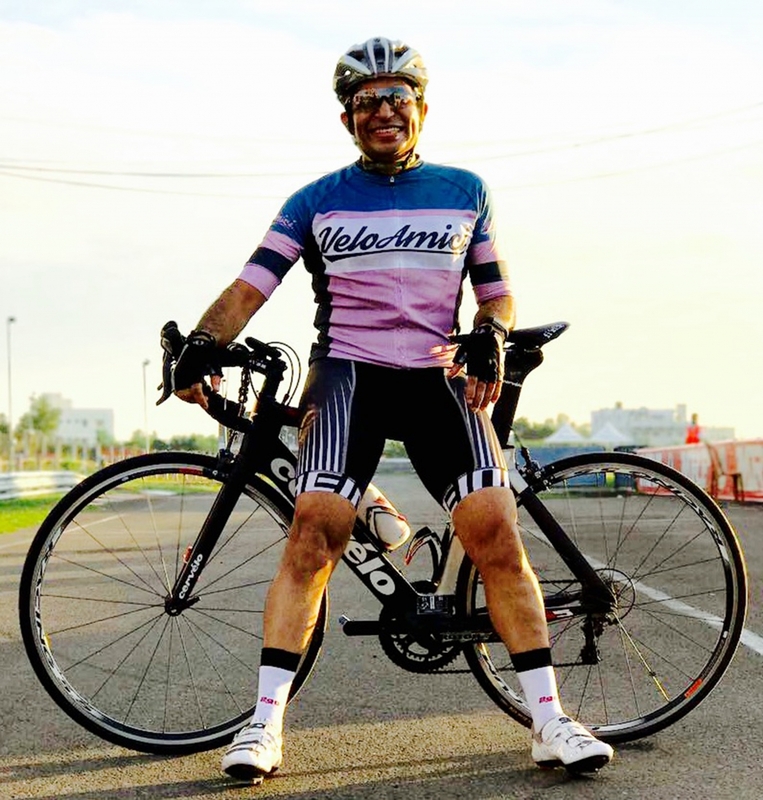 A National silver medallist in Rowing, passionate Marathoner, ardent ultra Cyclist, committed philanthropist, Founder of D2D Marathon & Neville Endeavours Foundation. 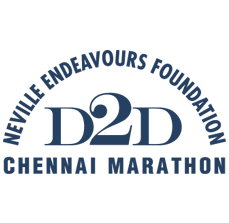 Through “Neville Endeavours Foundation” he and his team raise funds through the event called D2D Marathon especially for children towards Education and medical treatment. He and his team has raised quite a substantial amount towards rehabilitation of Cerebral Palsy children and donating Therasuit, one of it’s kind in India. Every rupee that was raised through Dawn to Dusk Marathon that was conducted for Cerebral Palsy children donated to the God’s own children. 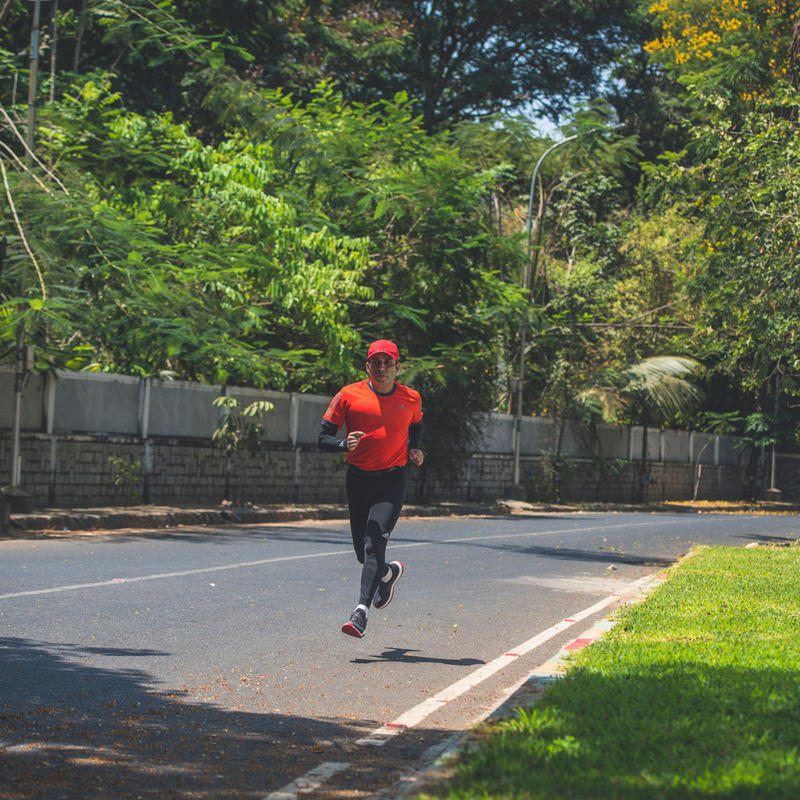 Chennai witnessed the first ever Chennai’s Night Marathon which took place in November 2014 creating awareness on Organ donation and again raising a substantial funds for LYLF, Apollo Hospitals. 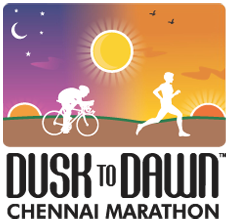 Chennai also witnessed another Night Marathon which took place in June 2016 creating awareness for promoting the Freedom Through Education project of Round Table India towards building classrooms and toilet blocks for the underprivileged children for Round Table India. 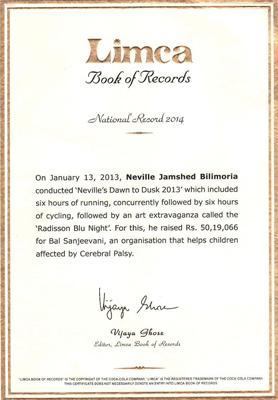 Neville is also the Brand Ambassador for Round Table India towards promoting Education for the underprivileged children. 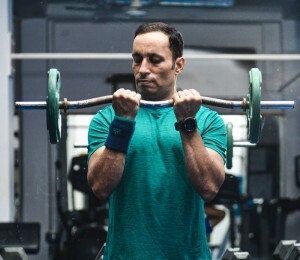 Also Neville has been appointed as Sports Ambassador for FastandUp, which is a sports nutrition. Neville has been an active Tabler in Round Table India and has made great contribution as past Chairman of MCRT 94, Round Table India. Neville and team of his Tablers of MCRT 94 raised in a single year INR 2.25 crores to build 55 new Classrooms and 22 Toilet blocks which were inaugurated by the former President of India Late Dr. APJ Abdul Kalam. Giving the best to every activity he takes up while inspiring others to keep healthy and fit is just the beginning of his endeavours. 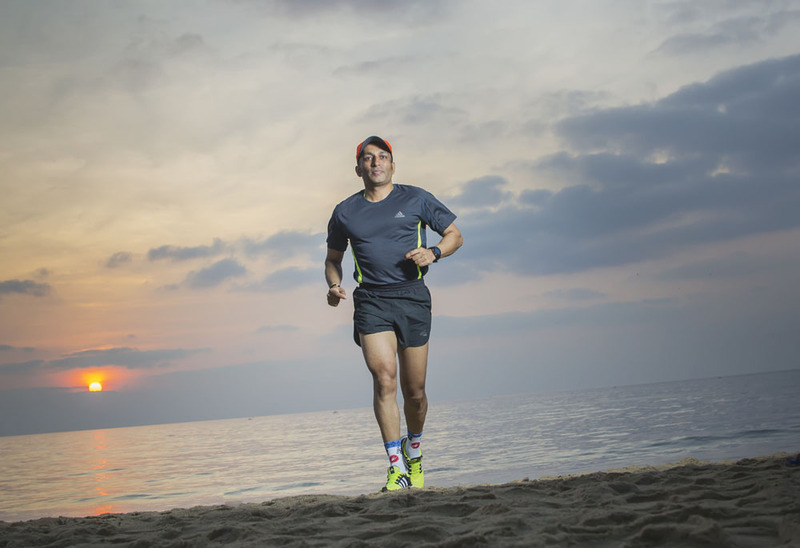 Through his rowing, running and cycling activities, he has found myriad ways to help the less privileged children. He gives his best in completing the task and inspire others to keep healthy and fit!! He motivates himself to succeed with hard work, dedication, commitment with mind set to achieve the goals!! “It is important to remember we are all blessed in many ways and each one of us have the potential to give back to the society through the very passion that drives us. I am passionate about my day to day work and training and put my 100% in the sport of rowing, running and cycling to keep fit. And through these sporting activities, I’d like to find ways that would benefit those who can’t even have a fragment of what we have!! First one in 2014 covering a total distance of 154.12 Km in 12 hours. Running for 6 hours covering 43.12 Km and Cycling for 6 hours covering a distance of 111 Km. Second one in 2015 covering a total distance of 207 Km in 12 hours. Running for 6 hours covering 51 Km and Cycling for 6 hours covering a distance of 156 Km. 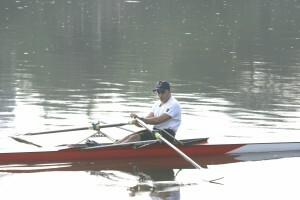 In the year 1993 Neville joined Madras Boat Club as Student Member and represented the club and state in many rowing events. Brought laurels and recognition by Representing Tamil Nadu in 3 National Games and won National medal Silver in Men’s pairs. Also he held the post of Captain of Madras Boat Club. 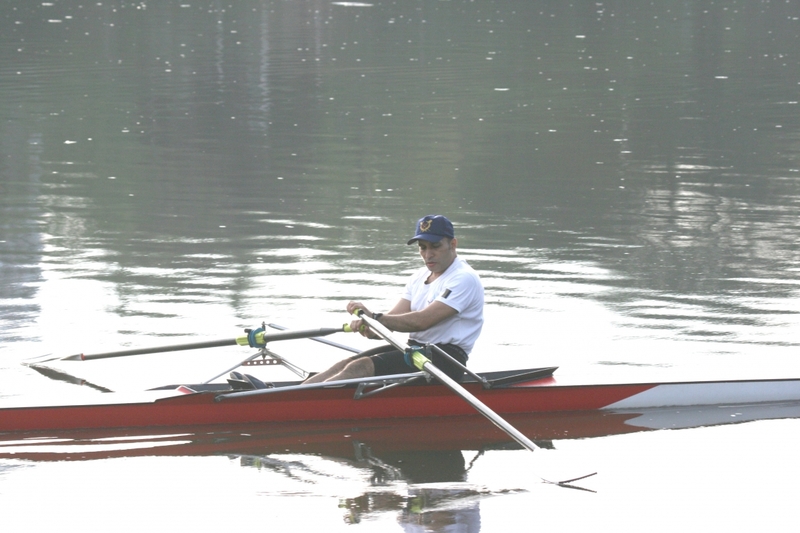 He has won medals in all three disciplines (single sculls, coxless pairs and coxed fours) for the club. In the year 2010 Neville started taking part in Marathons and Ultra marathons. 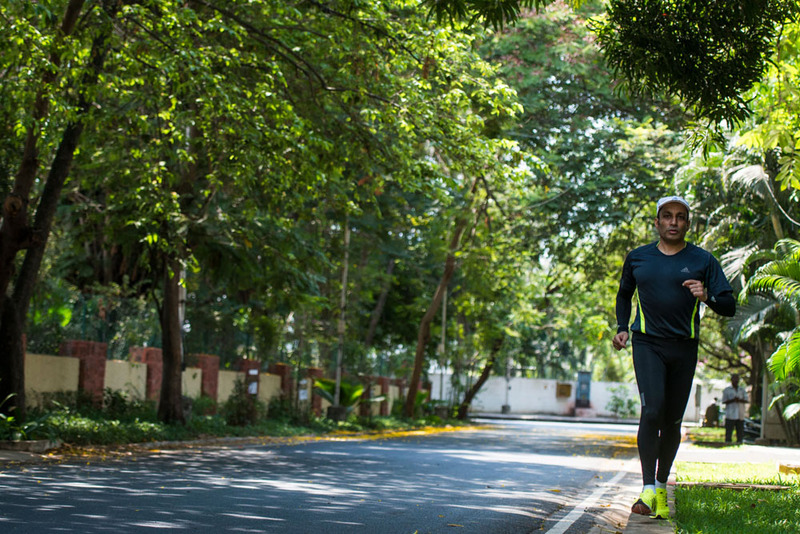 He has run across all over India and in 6 different countries till date. 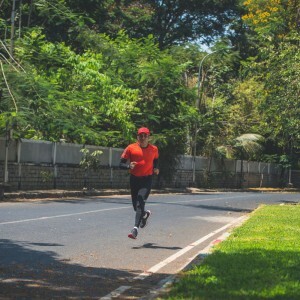 His personal best in full marathon has been 03:45:49 and the longest distance he has ran in Malnad Ultra covering a distance of 110 Km in 22 hrs 33 mins. 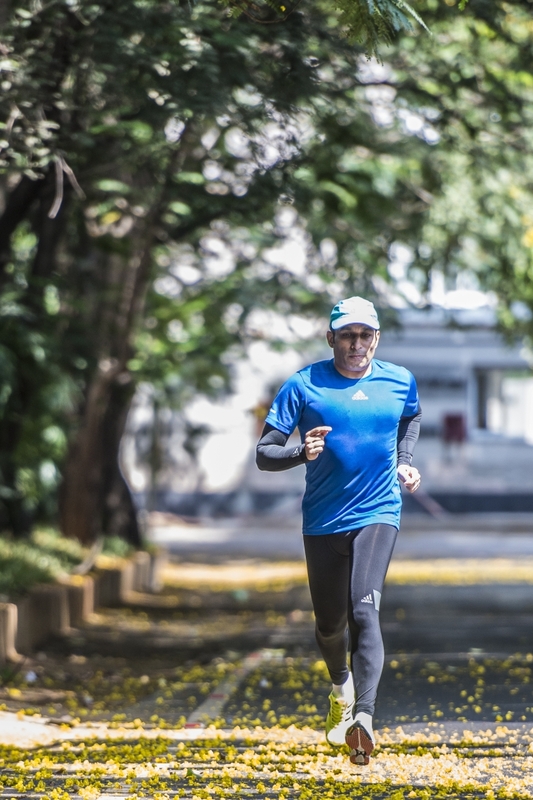 He has participated in over 57 marathons till date across India and abroad till date. 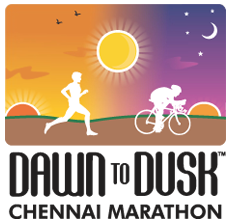 This includes the 4 Dawn to Dusk Marathons that were conducted at IIT and Anna University Campus covering total distance of 156 Km in 2012, 154 Km in 2013, 207 Km in 2014 and 219.1 Km in 2018 in 12 hour period of the Dawn to Dusk event. In the year 2011 took up cycling and has completed many cycling events and podium finisher in Time Trails. Holds the Super Randonneur title for the 6th consecutive year having completed all series for calendar years 2012, 2013, 2014, 2015, 2016, 2017 (Super Randonneur is one who completes all the series: 200 Km, 300 Km, 400 Km, 600 Km and 1,000 Km in a calendar year). 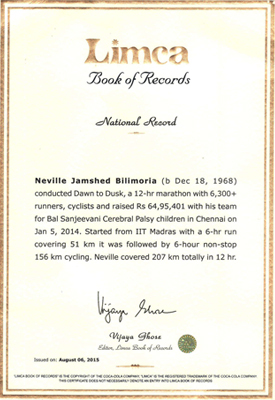 Has also completed 1,000 Km – Chennai-Vijayawada-Chennai in cycling for the year 2014 completed in 73 hours, year 2015 completed in 69 hours, year 2016 completed in 72 hours, year 2017 completed in 70 hours. Also, completed 1200 Km in 88 hrs 29 mts, the Brevet Chennai-Coimbatore-Madurai-Trichy-Pondicherry-Chennai in September 2017. Also awarded a medal for completing 1230 Km in 94 hours – Paris-Brest-Paris Brevet, an international cycling event in August 2015. Married to Kamini, who has been supportive and encouraging with all goals that Neville has achieved. He is too thankful to all his family and friends, office staff and everyone who have been so supportive in his endeavours.